Dr Krishna Kasaraneni from Crown Street Surgery in Swinton. It is the frontline of the NHS – the place where patients come for everything from reassurance on minor ailments to updates on the most serious illnesses. But the humble doctor’s surgery is set to become the latest funding battleground for the health service – as practices around the country struggle to cope with demand. Crown Street Surgery in Swinton. Growing waiting times at medical practices around the country are believed to have contributed to more people turning up at equally over-stretched hospital casualty departments for treatment, further increasing demand on the NHS. Last September, a study commissioned by the Royal College of General Practitioners found more than half of Britons think waiting times to see a GP are now a ‘national crisis’. The organisation predicted patients would have to wait more than a week to see a doctor at their surgery on 60 million occasions in the next year. The British Medical Association has launched a campaign highlighting pressures on surgery doctors and calling for long-term sustainable investment in hiring more GPs and practice staff and improving the standard of surgery facilities. The body, which represents British doctors, says 340 million GP consultations take place each year across 9,800 practices - 40 million more than in 2008. The grim national picture is being reflected in South Yorkshire, where funding has recently been found by health bosses for an additional 30,000 urgent GP appointments in Sheffield over the winter months to take pressure off practices struggling to see everyone who needs their help. Dr Krishna Kasaraneni, a partner at the Crown Street Surgery in Swinton, near Rotherham, and chair of the BMA’s equality and inclusion committee, invited The Star to see at first hand how surgeries are attempting to deal with ever-more cases. GPs at the surgery will typically see at least 16 patients in the morning, spend their lunch hour carrying out home visits and then see a further 16 patients in the afternoon. The number of patients they see in a day can be double this, depending on the number of people calling in with medical complaints. Dr Kasaraneni said staff are working flat out to see everyone who needs their services. Currently there is around a two-week wait to get a non-urgent appointment at the surgery, but there have been times recently when the waiting time has been four weeks. The surgery, which has around 9,500 patients on its books, operates a triage system to try and help control demand, when patients can ring a doctor to explain their symptoms who will then decide if they need an urgent appointment, can be seen in a few weeks or can manage without medical intervention. Dr Kasaraneni said two years ago the average number of calls in a full day was 60. But by the first two hours of the day when The Star visited, 45 calls have already been made to the surgery’s ‘triage’ systems. He said when he started at the surgery two-and-a-half years ago, there were five full-time GPs – with the four he started with having now left. While the GPs have been replaced, two trainee doctors who used to be based at the surgery have now left and not been replaced – as there is no-one qualified to teach them. He said: “GP training numbers keep going down. “The average patient is now much older and has more chronic health conditions before compared to 10 years ago. The health service is a victim of its own success. People live longer with these conditions and require more support. “More and more work is coming into the practice and it is unresourced. There is no extra funding for us to hire extra staff. He said staff have to work hard to deal with the volume of patients coming through the doors, with appointments starting from 7am and running until 6.30pm. Dr Kasaraneni said directing more money towards community services could help reduce the number of people needing to go to hospital for treatment. He said: “We have to look at how we as a population are accessing services from the NHS. It is well-documented about the number of inappropriate attendances at A&E, but somehow the increase in demand on GP services doesn’t seem to get the same coverage. The whole of the NHS is struggling and investment in general practice is the solution. “We need to work differently with practice nurses and community pharmacists. “Investment in support services such as district nurse services to care for patients in their own homes works out better for the patient, for the health service and for the taxpayer. “If you can keep somebody at home with an appropriate care package, that works out straight away. A hospital should be for the unwell who need to see a specialist, not because of failings in the social system. “If you invest now, you don’t have to wait to see the benefits, you get returns now. That is what we want to get across to politicians – we can do more in primary care, but not without appropriate support and investment. He said opening GP services seven days a week – as suggested by David Cameron last year – is only feasible if considerably more funding is provided. “It is do-able if there are the resources and the workforce to do it. At the moment, there are neither. “If I am working 48 to 50 hours a week already and I then open at weekends, I will have to cut back during the week. It doesn’t make the service any better. “For the last few years about eight per cent of spending is on GPs. But we have 90 per cent of the patient contacts. At a cost of £20 per extra appointment, it could end up spending £600,000 on the scheme. In some cases, locum doctors may be called in to surgeries but a CCG spokesman said that for ‘most practices’ existing doctors will take on seeing extra patients. 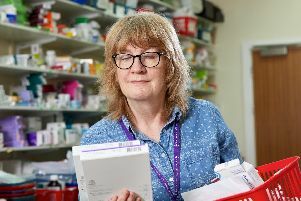 Extra provision for Sheffield’s pharmacies to supply medicines out of normal working hours has also been arranged. Dr Kasaraneni said at his surgery, patients can be waiting up to a month for an appointment with GPs working 11-hour days to deal with hundreds of patients each week. He said contracts for surgeries drawn up in 2004 are reassessed each year to provide new funding deals but actually represent a cut in support in real terms. Richard Armstrong, interim director of commissioning for NHS England, said: “NHS England is committed to ensuring patients have access to high-quality GP services wherever they live and that GPs are properly funded.